Time, or a proxy for the notion of time, is crucial in any distributed system. This talk will tour the fascinating timekeeping mechanisms used in real systems. We will explore atomic clocks, NTP and GPS through systems that use them, and logical clocks in the context of systems built on logical time. We will delve into the optimizations that make these mechanisms practical for use. Finally, we will ponder over how the timekeeping mechanism affects the properties of the entire system. Kavya writes code for a living at a start-up in San Francisco. She's primarily a backend/ systems developer, but has of late been dabbling in firmware too. Her favorite aspects of being a programmer are reasoning about systems at scale, and delving into the inner workings of sophisticated software. When not programming, she tends to spend her time on rock walls and mountain tops. 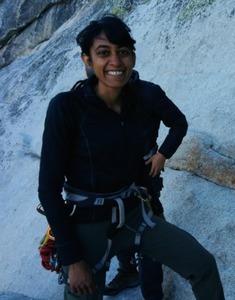 Before moving to San Francisco to be an Adult, Kavya was at MIT where she got a Bachelor's and Master's in Computer Science.